San Francisco Supervisor David Campos will file papers on Tuesday to run for re-election in November. Campos represents District 9, which includes the city’s Mission District and Bernal Heights and Portola neighborhoods. A native of Guatemala who came to the U.S. when he was 14, Campos has passed legislation on various immigration issues, including on the city’s sanctuary policy. He has also been an advocate for the rights of workers, low-income residents and the LGBT community. 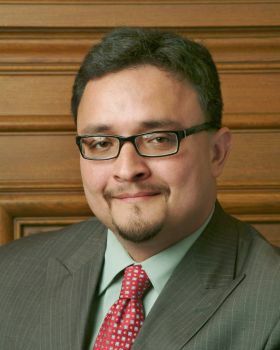 Prior to being elected as supervisor, Campos served on the San Francisco Police Commission and as general legal counsel for the San Francisco Unified School District. He will be joined by various labor, business and community leaders to file the papers at noon Tuesday in the Department of Elections at City Hall.